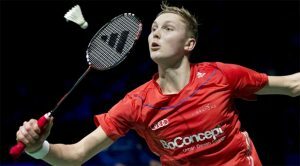 Viktor Axelsen remains at the top of the Men’s Badminton rankings followed by Korea’s Son Wan and China’s Shi Yuqi placed at the 2nd and 3rd position respectively. Meanwhile, Chinese Taipei’s Chou Tien broke into the top 10 as India’s Kidambi Srikanth’s rank downgraded by 3 positions. Other upgrades in ranks were of Lee Chong, Lin Dan and Kento Momota who broke into the top 10 ranks after Prannoy’s rank downgraded by 5 positions. 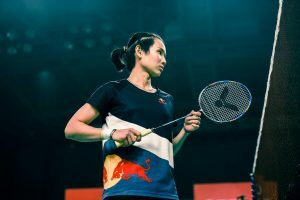 Tai Tzu Ying remains at the top of the women’s badminton rankings followed by Akane and Sindhu at the 2nd and 3rd position respectively. Korea’s Sung Ji Hyun experienced a downfall in her rank by two positions while Nozomi and Binjiao upgraded their ranks by 1 position. Other upgrades in rankings were of Michelle Li, Aya Ohori and Mia Blichfeldt who upgraded their rank by one or two positons. Indonesia’s pair Marcus and Kevin retained their top rank in the Men’s doubles badminton rankings followed by China’s Liu Cheng and Zhang Nan who replaced Denmark’s pair to become the 2nd ranked pair. Denmark’s pair, Conrad and Pieler also upgraded their rank by one position by replacing China’s Li Junhi and and Liu Yuchen. Meanwhile, Chen and Wang broke into the Top 10 ranks as Takuto and Yuki drpped to the 10th position. Japan’s Yuki and Sayaka replaced Chen and Jia to become the top ranked pair in Women doubles badminton rankings. Another Japan’s pair Misaki and Ayaka also upgraded their rank by one position. Meanwhile, Korea’s pair Lee and Shin experienced a downfall in their rank by two positions resulting in Indonesia’s and Thailand’s pair rank to up by one position. Chinese pair Wang and Huang replaced Indonesia’s Tontowi and Liliyana to become the top ranked pair in mixed doubles badminton rankings. Meanwhile, English pair Marcus and Lauren, Chinese Pair He and Du and Chinese Taipei’s pair Wand and Lee broke into the top 10 rankings.